We were referred to Patty’s Cakes through the OC Mining Company. They made everything super easy! Our applesauce spice cake was delicious. The frosting they use it out of this world. I absolutely hate overly sweet frosting, but theirs was perfect. Thank you for creating the cake that was a memorable part of our special day. I got my wedding cake from here. They were very nice every time I talked to them on the phone or in person. They told us ahead of time when the delivery would be and they arrived within that time. The cake was delicious and looked beautiful. 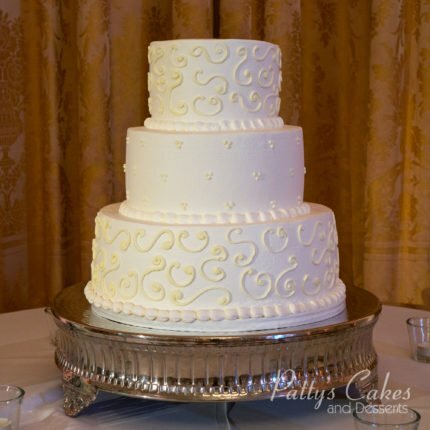 My sister used Patty’s cakes when she got married in 2013 and her lemon cake was to die for! 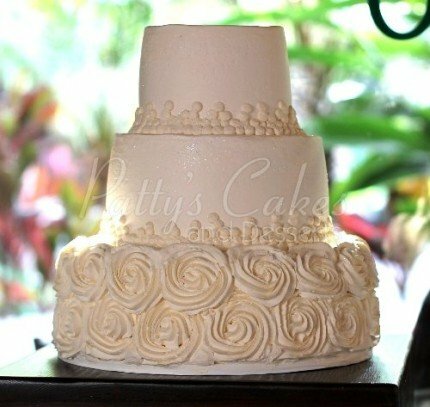 Naturally, I decided to go with Patty’s for my wedding also because her cakes are not only amazing to look at but the taste is incredible! We went with the lemon with a raspberry and Bavarian cream filling for 2 of the layers and a chocolate with chocolate- chip filling for the other layer. I must say I’m not a fan of chocolate cake at all… but that was the best chocolate cake I’ve ever had. It was light and fluffy and the flavor wasn’t super overpowering like some chocolates are. Not only did our wedding cake taste amazing it was beautiful as well! When my husband and I met with patty for our tasting I wasn’t really sure what direction I wanted to go in. I had pictures of many different cakes and I liked different parts of each one. Patty really helped me narrow down exactly what I was looking for without over doing it. I was very happy with how our cake turned out and all of our guests still tell me how much they enjoyed our cake. Their cupcakes are perfect! Not too sweet, super moist and delicious. The cake balls are the best! I love their red velvet cupcakes and the cake balls. My family loves the chocolate chip cake balls. Moist and just taste delicious. The most delicious mouth-watering cupcakes I have ever tasted. So fluffy & light & incredibly delicious. So many to choose from, I hope to taste them all. Make sure to put your custom order in ASAP, as the weekends can fill up fast. Their pre-made cakes are delicious nonetheless! Great cakes, excellent customer service. Pricing was a lot cheaper than some of the shops we searched. 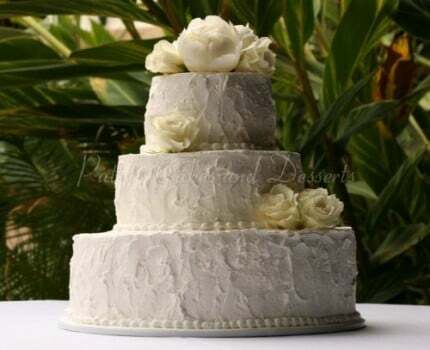 Also, they matched the picture we found for our 3-tier wedding cake almost perfectly. It was a smooth, easy process to order from them as well. I recommend this shop to anyone in the local area. They also have the best cupcakes in many different flavors! Patty cakes made our wedding cake, and it was AMAZING. They made the entire process so easy and everyone who helped us was friendly and helpful. The cake looked beautiful and looked just how we wanted it, and it was delicious! Many of our guests came up to me asking where we purchased our cake! Since our wedding, I have come to Patty’s Cakes to purchase cupcakes for parties. Everything I have eaten is so yummy! They do not disappoint. I will absolutely be using Patty’s Cakes for all my parties. 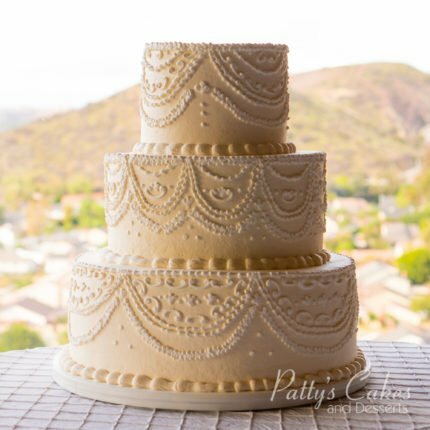 If you are getting married in Orange County, you will not go wrong with getting your cake from Patty’s. Patty’s Cakes was amazing to work with! Not only was the cake delicious, but the experience was excellent. We went to two other bakeries and from the very start of the tasting, Patty’s had the others beat. Phillip sat down with us and really talked us through the process of picking the cake, showing us actual examples and asking us the right questions: how many people? what do you like/dislike about a particular example? Etc. Seems like common sense, but the other bakeries gave us very minimal info as if cost were the only factor. Once we got to the actual tasting, we were sold. All of the cakes were moist and delicious, and we were allowed to try any of the icings. And to top it off, the pricing was extremely competitive. It came in under our budget and less than the other bakeries. Our tasting experience was so good that I sent my mother-in-law there to get desserts for our rehearsal dinner. 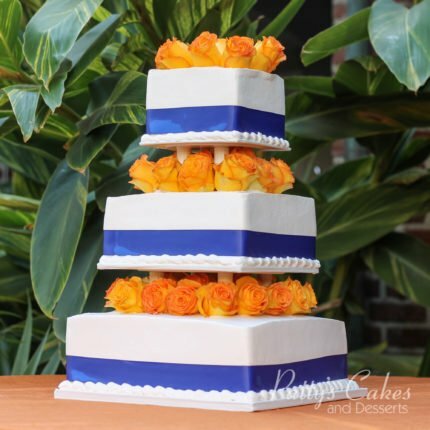 We ended up with a three-tier cake, and all three flavors were AMAZING! Thank you, Patty’s!